mattjohnson had the most liked content! Thanks for sharing your story and success with 3D printing. How much did the casts cost? The three-dimensional (3D) medical printing and bioprinting industry is evolving at a rapid pace as 3D printers continue to move beyond research labs into commercial manufacturing facilities and hospitals. The printers are being used to create anatomical models, customized implants and even body parts that help treat, manage and prevent complex illnesses and injuries. The technology has contributed to the success several challenging surgical interventions in the recent times. Three-dimensional Printing Systems While scientists are using 3D printers for a variety of purposes, most physicians are relying on them to create patient-specific models of targeted organs and tissues. Healthcare professionals obtain accurate dimensions of the patient’s body parts from radiological images and feed the information into a computer to print exact replicas of the organs. These models help the surgeons assess the abnormality with precision and practice the surgery before the actual procedure. Several consumer-friendly 3D printing systems have been created to meet these needs. Belgium-based Materialise offers Mimics inPrint system that allows physicians to directly import patient images from hospital PACS and use them for 3D printing. The product comes with DICOM compatibility that supports all types of imaging machines. The semi-automated segmentation and editing tools within the printer’s software system ensure error-free printing and enhanced communication. Materialise sets up the entire system and trains the hospital staff to operate it efficiently. Stratasys Inc. also offers additive printing technology to hospitals across the globe. It has the widest variety of materials ranging from clear, rubberlike and biocompatible photopolymers to rigid and flexible composite materials in over 360,000 colors. The Medical Innovation Series from Stratsys has been created for physicians, medical device designers, clinical educators and other professionals in the healthcare industry. 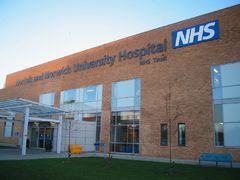 Success Stories Twelve National Health System (NHS) hospitals in the United Kingdom are relying on Stratsys printers to create models that allow surgeons to analyze patients’ condition, test implants and practice surgical interventions for better outcomes. 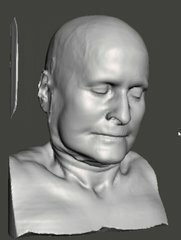 Most popular 3D models at NHS hospitals include jaw bones for facial reconstruction surgeries, hip models for hip replacements, forearms for repairing deformed bones, and cranial plastics for fixing holes in a person’s skull. Doctors Without Borders, the Italian humanitarian organization, is also using 3D printed replicas of hospital models to setup new ventures in remote areas of the world. The technology allows physicians to have a realistic experience and thereby, improve patient care. Several other healthcare facilities are also using additive printing technology for increased efficiency. Physicians at Hong Kong’s Queen Elizabeth Hospital used 3D printing technology to help a 77-year-old woman suffering from two damaged valves. The patient had already undergone three open heart surgeries and needed a complex fourth intervention. The 3D printed model helped the doctors complete the surgery in just four hours. In another case, surgeons at Children’s Hospital in Colorado and engineers at Mighty Oak Medical created a 3D model of a patient’s spine to rehearse the surgery. The physicians also used additive printing technology to print customized brackets to treat the patient’s scoliosis. These success stories are inspiring other hospitals to install 3D printers at their facilities. 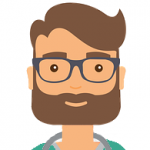 They would, however, require expertise to handle the printer and tools to eventually use the 3D model for clinical purposes. Several facilities are incorporating 3D printing training programs to build knowledge within the institution and to lower the lead times for the actual procedure. While the initial investment may appear significant, most experts agree that 3D printing technology can be a game changer as it can help physicians improve clinical outcomes and reduce costs associated with complicated surgical interventions. The three-dimensional (3D) medical printing and bioprinting market has exploded in the last decade with the invention of several new printers that can print everything from anatomical models to living cells. Each new machine has contributed in its own way to the success of this industry. However, only a few of them have impacted the field of medicine the way BioBot 1 has done in the recent years. BioBots, a Philadelphia-based startup, hopes to use 3D printing technology to cure diseases, eliminate organ transplantation wait times, reverse climate change, and promote life on other planets. Their BioBot 1 desktop 3D printer is capable of printing live tissues from human cells. The low-cost machine is making bioprinting technology accessible to everyone from major universities to small research labs and is thereby, helping transform medicine and biology. The History of BioBiots The BioBots printer began as a dorm room project for two of its co-founders who were biology and computer science students at the University of Pennsylvania. Their initial prototype won a university competition and a $50,000 grant through the Dreamit Health program. The team began building smaller, cheaper and more efficient printers and is currently targeting biotech and pharma majors that spend millions of dollars on clinical research. The printer may help the companies generate specific cells lines and tissue fragments to test their therapeutics. Unique Features of the BioBots Printer The popularity of the BioBots printer is not without a reason. The machine comes with several novel features and a small footprint. It can essentially fit into most bio-safety hoods and allows the researchers to work in a sterile environment with ease. The printer uses standard petri dishes and 96-well plates to simplify the printing process. The user can upload designs, choose biomaterials and eventually print the tissue fragments with minimal effort. The BioBots 1 printer uses visible blue light to cure biomaterials quickly without damaging the cells. It includes a compressed air pneumatic system with a pressure range of 0 to 10 PSI that accommodates a variety of viscous materials and helps achieve specific start and stop points. The linear rails guarantee 10-micron precision. The printer also has two heated extruder heads to achieve temperatures between room temperature to 120 degrees. The Bio-Ink BioBots 1 printer also differs from its rivals in the type of bioink it uses. The support material maintains the structural integrity of the cells during the printing process and prevents their degradation after the printing is complete. The user also opts for a scaffold or a matrix gel prior to adding the cells and printing the final tissue fragments. BioBots offers a large selection of products for its printers including support bioinks, sacrificial bioinks, matrix base reagents, matrix ECM proteins, matrix print enhancers, and curing bioinks. 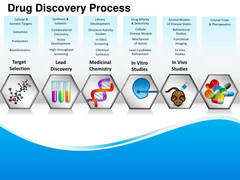 The company has also created a bioink open source allowing researchers to improve the technology further. Potential Uses of BioBots Printers Although BioBots is currently pitching its product to companies and research institutes involved in drug development, most experts are hopeful that the use of this printer will expand further to benefit patients waiting for organ transplants. Researchers at Drexel University are using the BioBots 1 to print bone tissue while University of Michigan professors are using it to print nerve tissue. Physicians may soon be able to print compatible body parts with lower risk of rejection prior to transplantation surgeries for greater success. BioBots 1 printer definitely holds a competitive edge due to its small foot print, ease of use, wide selection of bioinks, and lower price. The company is investing millions of dollars on improving the performance of the machine, and if recent developments are an indication, the BioBots is bound to play an important role in diagnoses, treatment and prevention of complex diseases in the near future.